With all the power vested in me (by myself), I hereby declare Joseph Spencer’s book, For Zion: A Mormon Theology of Hope, the 2014 Mormon Book of the Year. 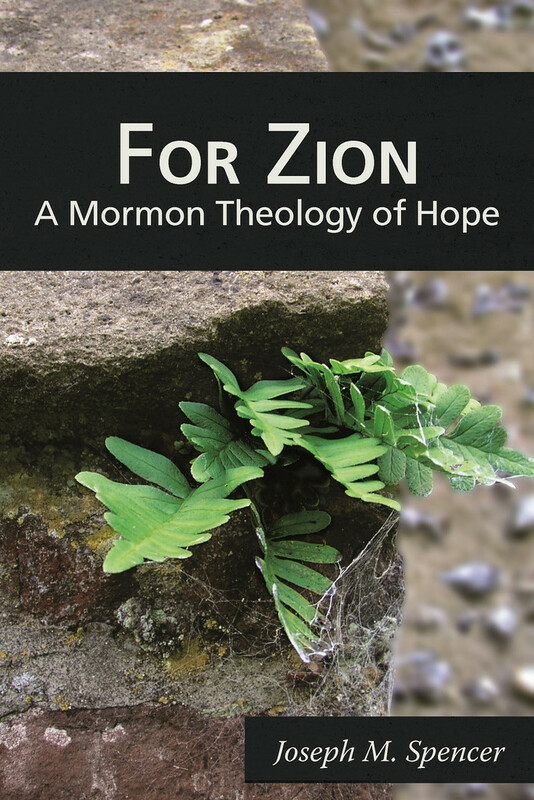 Spencer’s second book, For Zion: A Mormon Theology of Hope, is even better than his first, An Other Testament: On Typology. While For Zion bears all the hallmarks of his first book—spectacularly clear, careful, and creative readings of scripture paired with daring theological creativity—Spencer’s voice and grasp of the underlying philosophical and theological issues is even stronger. Best of all, while always smart, the book bears the indelible stamp not only of his mind but of his heart. This is not just a work of scholarship, it’s a call to take seriously, once again, God’s continuing invitation to consecrate our whole lives and everything in them back to him. What is hope? What is Zion? And what does it mean to hope for Zion? In this insightful book, Joseph Spencer explores these questions through the scriptures of two continents separated by nearly two millennia. In the first half, Spencer engages in a rich study of Paul’s letter to the Roman to better understand how the apostle understood hope and what it means to have it. In the second half of the book, Spencer jumps to the early years of the Restoration and the various revelations on consecration to understand how Latter-day Saints are expected to strive for Zion. Between these halves is an interlude examining the hoped-for Zion that both thrived in the Book of Mormon and was hoped to be established again. Bonus material: here’s a link to the BYU Studies Review. Bonus bonus material: here’s a link to a preview of the first chapter. I agree with this pick. I actually read this book twice, which is so rare for me that I can’t recall that for any other book outside of Tolkien. I did, too, John. It provoked fresh reflection on Romans and the early Christian church, the Book of Mormon and Doctrine and Covenants and their relationship to the Bible and early church, and the meaning of consecration and Zion for Mormons today. To do engage that much material and do it well is quite an accomplishment. Thanks Joe! It was an outstanding book, tied for me with Adam’s own book (Letters) and Mike Austin’s _Re-reading Job_ for Mormon book of the year. Henceforth and forever, amen and amen. And inside of Tolkien it’s too dark to read. Yes, Joe’s book was fantastic, and I hope it becomes widely read, discussed, applied, cited, and otherwise engaged!